Very rarely has a single book forced me to completely reorient my thinking of a topic like Jim St. Germain's powerful memoir, A Stone of Hope. St. Germain shares his experiences growing up in Brooklyn's infamous Crown Heights. Left to parent himself, St. Germain turned to the streets to find support and to make ends meet - and soon took to stealing and dealing, increasingly numbed to the violence and despair he felt and observed all around him. Traumatized and hopeless, St. Germain asked for help from the system but received little in return...until a few people took note of him and his plight. Arrested for dealing crack cocaine at 15, St. Germain wound up not entering the turnstile of incarceration, addiction, and violence that plagues so many of America's young men of color but rather in a group home. Eventually, St Germain finds a way out of the life he had been forced to lead and finds a new purpose for living. The searing experiences that St. Germain shares changed my understanding at a fundamental level of just how difficult it is for those born into deep poverty and injustice to escape it. He tells his story with such clarity, immediacy, and passion - I literally could not stop reading it once I started. I hope you'll find it similarly insightful and that it will renew your own dedication to working towards true social and racial justice in America. I know it did that for me. This is not an easy book to read. The stories told are full of trauma and horror. 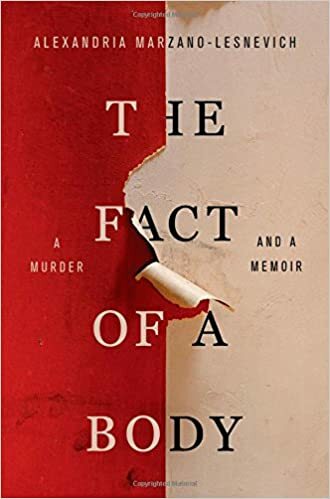 You should read it anyway, though, because Marzano-Lesnevich's ability to maneuver through piles of evidence to create not just one but two riveting narratives is unparalleled. Moreover, her manipulation of the narratives is masterful: as the moral clarity grows more distinct in one story, it becomes somewhat less stark in the other. There's a lot of courage here, and an untold amount of pain. You can't but wonder about the stories left untold as the book draws to its end - and maybe weep a little for what these stories - told and untold - mean for humanity in general. 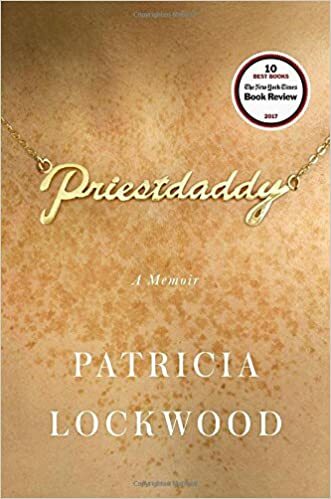 Lockwood's story of growing up - and then moving back in with - a dad who just happened to be both a Catholic priest and a bit of nut will leave any recovering Catholic wiping away tears of laughter...until it suddenly and poignantly leaves you wiping away tears of sorrow. Lockwood steers us through experiences that are both completely alien and yet somehow familiar at times. Offers plenty of food for thought and some terrific wordsmithing in addition to personalities that you'll be hard pressed to forget. I can't believe I didn't know this book existed until I went to a writing workshop in November. This book recommendation alone made that workshop worth the price of admission! I'm not a huge King fan - I grew up reading some of his books and short stories, and I really enjoyed 11/22/63 - but after reading this, I'm more likely to read the books I've missed over the years. This is not your typical writing guide. Instead, the first half of the book describes King's youth in working class Maine. From very early in his life, King decided he wanted to be a published writer, and he worked doggedly and consistently towards that goal until it became a reality. He writes efficiently, clearly, and with no small amount of humor. I fell in love with the narrative voice within a few pages and basically have been carrying it around with me ever since because I like it so much. The specific guidance he offers to emergent writers isn't really the most engaging part of the book (although it did make me cry a little, in a good way) - but if you read to the end of the book, you'll discover why. 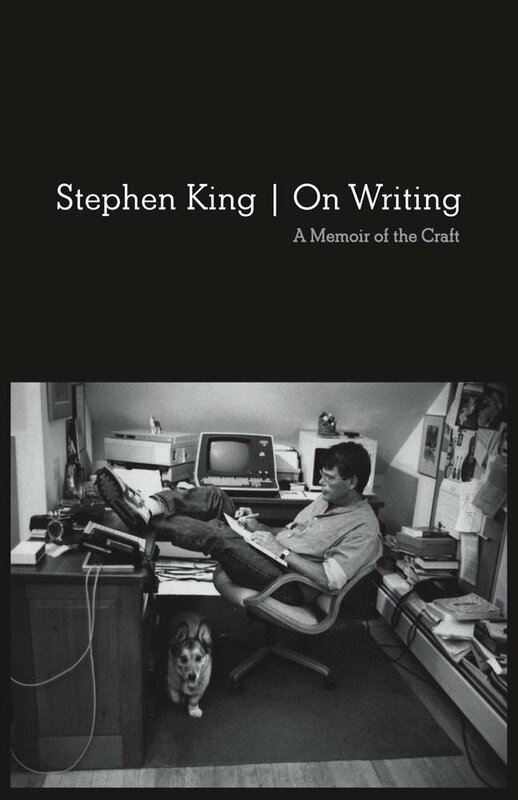 The afterword, in which King discusses his very close brush with death one afternoon left me on the edge of my seat as much as Carrie ever did! I had known about this episode in his life but to hear him tell it just left me with my jaw on the floor. Any writer or King fan should treat themselves to this book. 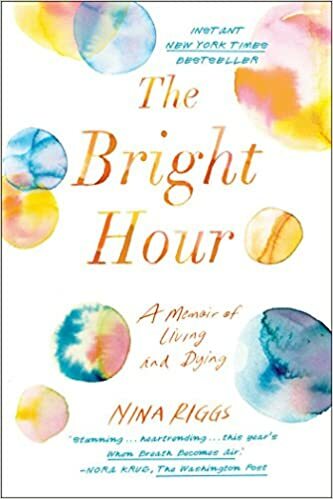 Nina Riggs died from metastatic cancer before her dazzling, luminous memoir made it to the bookstore, at the age of 39. She knew that would likely be the case, but it didn't stop her from digging deep in the final months of her life and sharing her experiences as a wife, mom, and human being suddenly thrust into one of the worst nightmares one can imagine. She reaches back, far back, into personal and literary history to connect with Emerson (he was her great-grandfather several generations back) even as she struggles to share her devastating story and ensure that her husband and two young sons wouldn't be left without her voice and perspective. As someone living through stage IV cancer myself and the mother of two children, I feel especially qualified to say that this book cracks through the shell of the "cancer warrior" stereotype and reveals how life at this speed can be terrifying, humorous, hopeful, and blessedly mundane - often all at once. A beautiful book written by an enormous talent. And there you have it - my favorites for 2017! I plan to share with you my reading adventures on the reg in the year to come. Was able to reserve all these titles at the library. I had already read The Bright Hour. I am so thankful for your recommendations! Miss you much!